What’s one dental marketing tactic you do in-house? Can’t name one? There are at least four things you should be doing. Press play and watch this week’s Wednesday Wisdom courtesy of Alison. 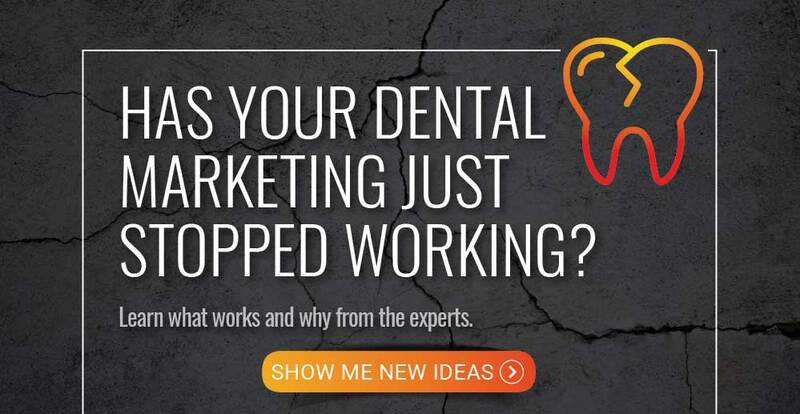 She’s going to tell you, whether you partnered with a marketing agency like GPM or not, the truth is there are DIY dental marketing tools you need to use. 1) Social media and why you can’t afford to avoid using it, because let’s face it – Facebook, Twitter, Instagram, and YouTube aren’t going anywhere anytime soon. 2) The importance of asking for and getting reviews to help boost your in-house dental marketing efforts and new patient numbers. 3) The ways you can (and should) get involved in a community event or two. 4) How you can use convenient dental reminders to help patients stay on time and up-to-date with their upcoming appointments. There’s no silver bullet theory or magic formula for effective dental marketing. The bottom line is your dental marketing works best with a multi-faceted approach with team members who’ll take on some of the projects and tasks on their own. Alison: 00:00 Should you be marketing your dental practice on your own? Hi guys, I’m Alison with GPM and on this edition of Wednesday Wisdom, we’re going to talk about DIY marketing. 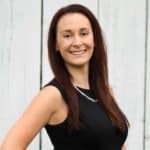 Alison: 00:11 When it comes to marketing your dental practice, whether you partnered with a marketing agency like GPM or not, the truth is there are some aspects of your marketing that you should be doing in-house on your own. Alison: 00:23 So, roll up your sleeves and let’s get started by talking about four important areas of your marketing that you should be doing in-house. Up first, social media. Whether you love it or you hate it, the truth is small local businesses like yourself need to have some sort of social media presence. Alison: 00:40 Now, one of the crucial parts about maintaining a good social media presence on popular platforms such as Facebook or Twitter is posting really personal authentic content. Consider things such as a team outing or a team lunch, or team member’s birthdays or anniversaries with your office. Alison: 00:58 This type of material can really help your target demographic see who you are as a practice. Also, this is really important. Make sure you pay attention to messages that you get, as well as comments that are posted on your social media pages and respond to them promptly. Alison: 01:46 You have to ask in order to start generating reviews. Similar note here as to social media, pay attention to reviews, and if you get them, respond to them as soon as you can. Whether they’re good or bad. Alison: 01:59Next, get active in your local community. Sponsor a community event, attend a 5K or sponsor a table at a health fair. Sponsor a local sports team, whatever you can do to get your name out there to potential patients who may of never otherwise heard of you is a great way to expose your brand to a whole other group of people. Alison: 02:20Last, appointment reminders. Patients really appreciate the little extra nudge that your practice gives them, reminding them about their appointments. As we all know, life gets busy, and dental appointments can be easily forgotten. Alison: 02:34 Utilize a software, such as Solutionreach, Demandforce, Lighthouse. There’s tons out there to automatically send text messages or emails to your patients, reminding them of their upcoming appointments. Alison: 02:46Make sure you get them to confirm the appointment, and if you don’t, consider even picking up the phone, reaching out and calling them personally. Alison: 02:54The bottom line, your dental marketing works best with a multi-faceted approach, as well as team members who are willing to take on some of the person local projects on their own. Of course, your dental marketing agency is always here to help, but the truth is some strategies just work best when they come from a team member. Alison: 03:13That’s it for me today. Thanks for joining on this Wednesday Wisdom, tune back next week for other helpful tips.